Hanging above Interstate 95 and other major roadways in our area (I’m looking at you, State Route 3 and State Route 610) is a blue streak made up of swear words emitted by drivers frustrated by traffic and suburban sprawl. Residing in a busy area of Stafford County and commuting to Northern Virginia until recently, I’ve often fantasized about living in the country, away from the perpetual pumping of brakes (though my version handily has a mall five minutes away). It wasn’t until I started exploring local parks that I realized living in this area isn’t so bad when there are green, isolated gems tucked between highways and houses. Research shows that spending time in nature confers real physical and mental health benefits. In 1982, the Japanese Ministry of Agriculture, Forestry, and Fisheries coined the term Shinrin-yoku, which means “forest bathing,” the practice of taking in the forest atmosphere to alleviate stress and improve health. While the phrase conjures images of dancing in the moonlight while kissing tree trunks, it’s really just about shedding the mantle of busy everyday life and going outside. When I was young, my backyard abutted the woods. My sister and I would spend hours tromping through it, discovering mysterious paths, creating new ones and relishing the crackling of dried leaves beneath our feet. Our neighbor’s dog, Sammy, would sometimes join us, and we’d pass an afternoon breathing fresh air and enjoying a break from homework and life in general. As an adult, exploring local parks has felt like a return to that childhood magic, even more so now that life is filled with driving, weekly Walmart runs and work. If you haven’t been to Government Island in Stafford or the Canal Path in Fredericksburg, I highly recommend them. The walking is easy for just about anyone, from children to adults. If you want something more challenging, try Motts Run Reservoir, which has a number of trails varying in difficulty, along with stunning views. While reading about nature isn’t exactly the same as walking in the woods, it, too, has its perks. For one, books such as Forest Therapy, by Sarah Ivens, can explain that health benefit thing far better than I ever could. Another reason to read about nature is to help you find the thing that inspires you to go outdoors. After reading Corvus: A Life with Birds, by Esther Woolfson, you might want to start birdwatching. You could become one with nature by reading The Lost Art of Reading Nature’s Signs, by Tristan Gooley, learning how to interpret clues in nature to find your way and predict the weather (thereby impressing folks at your next dinner party). If you’re feeling extra ambitious, read Epic Survival, by Matt Graham, and feel confident that you could survive naked and (not so) afraid in the jungles of Panama. A Walk in the Woods: Rediscovering America on the Appalachian Trail by Bill Bryson. No nature reading list is complete without Bryson’s classic memoir of hiking the Appalachian Trail with his out-of-shape sidekick Stephen Katz. 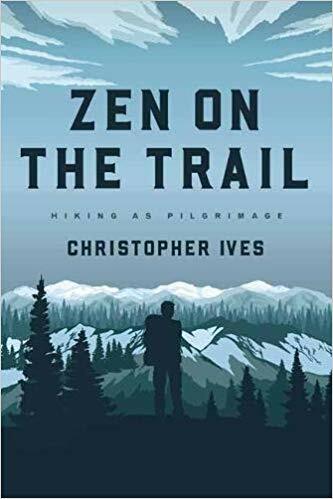 Zen on the Trail by Christopher Ives. Discover how hiking can be a kind of spiritual pilgrimage - calming our minds, enhancing our sense of wonder and deepening our connection to nature. The Great Outdoors by Brendan Leonard. Everything you need to know before heading into the wild (and how to get back in one piece). Birds Art Life: A Year of Observation by Kyo Maclear. A writer’s search for inspiration, beauty, and solace leads her to birds in this intimate and exuberant meditation on creativity and life. The Garden in Every Sense and Season by Tovah Martin. Martin mindfully explores the sensory delights of the garden, sharing advice and urging gardeners to inhale, savor and become more attuned with their gardens. The Nature Fix by Florence Williams. Williams draws on cutting-edge research and explores international nature therapy programs to examine the restorative relationship between nature and human cognition, mood, and creativity. Tracy McPeck is Adult Services Coordinator at Central Rappahannock Regional Library. This column originally appeared in The Free Lance-Star newspaper and is published here with their permission.